“There’s no place like home.”, whispered Dorothy, as she clicked her ruby slippers three times and was magically whisked away to the comfort of her Kansas farmhouse. Sparkling red in the glow of Hollywood lights, Dorothy’s ruby slippers were actually nothing more than a rhinestone studded prop. Nonetheless, the allure of rubies and ruby jewelry is so strong that it has worked its way into all the cultures of the world from the beginning of history up to modern time. “A drop of the heart’s blood of Mother Earth” is how the ruby is described in the Orient. The Indians call the ruby Ratnanayaka, the lord of the gemstones. 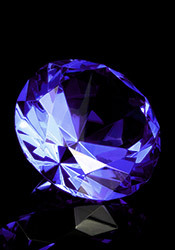 The Hindus called the ruby the king of precious stones and the leader of gems. They used to divide rubies into castes, much like social classes. Rubies were sorted into upper class, middle class, and lower class in terms of flawlessness and beauty. Much like today’s exclusive county clubs and their upper-class clientele, no inferior Ruby was allowed contact with a superior one because it was believed the inferior one would contaminate the better one, thereby diminishing its magical powers. In India, those who donated rubies to honor Krishna were assured being reborn as an emperor in a future life. Hindus consider light colored rubies to be appropriate for women, and darker rubies to be appropriate for men. Elaborate ruby earrings have been a popular jewelry choice in India for centuries. In China, a Mandarin’s rank was indicated by the color of the stone in his ruby ring. A red jewel stone meant he was a key figure among the great. In the 1880’s, French jewelers called the ruby the gem of gems or the dearly loved stone. Combine Ruby with any gemstone to create your own unique family keepsake with the birthstones of your loved ones, or your favorite combination of colors. 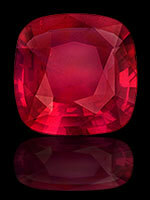 The name ruby comes from the Latin word ruber, which means red. 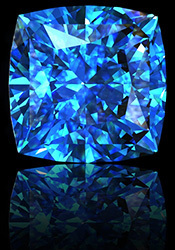 It is favorite gem among those in power and those in love, inspiring more emotion than almost any other stone. Some ancient cultures believed that rubies, as well as other gemstones, grew on trees, just like fruit. 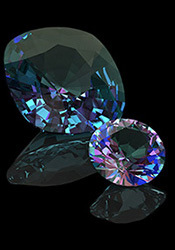 The rubies would begin budding as small white gems, and would slowly grow and ripen, turning red in the light of the sun. When the ruby was saturated with red color, it was ready to be plucked. Ruby is deemed to be the most precious of gemstones by the Bible and the ancient Sanskrit writings. Indeed, upon discovery of each Ruby crystal, the Indian Emperor would give a special royal welcome to this King of Gemstones. *The information provided here is for entertainment and reference purposes only. 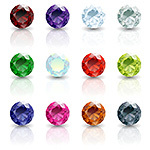 It is based on centuries of folklore, most of which camethe birthstones of your loved ones, or your favorite combination of colors about before the age of modern medicine. It is not meant as actual medical information. For advice about any of the illnesses listed, please visit a qualified physician. Rubies throughout time have been said to have many positive effects and mystical properties. The ruby is associated with the sun, and was thought to preserve mental and physical health. In the middle ages, rubies were viewed as a stone of prophecy. It was thought the stone darkened when danger was near. Ivan the Terrible of Russia stated that rubies were good for the heart, brain and memory. A Thirteenth Century prescription to cure liver problems called for powdered ruby. In the 15th-16th Centuries, rubies were thought to counteract poison. When rubbed on the skin, they were also thought to restore youth and vitality. For thousands of years, Ruby was considered the stone of love, energy, passion, power, and a zest for life. Like no other gemstone in the world, Ruby is the perfect symbol for powerful feelings. The other important element of Ruby besides fire is blood, and Ruby is said to restore vital life forces and increase energy and vigor. Ruby is also known as the stone of courage, and legend tells us that a person possessing a ruby can walk through life without fear of evil or misfortune. Physically, rubies are thought to energize and balance, stimulate heart chakra and encourage a passion for life, but never in a self destructive way. They overcome exhaustion and calm hyperactivity. They detoxify the body and blood, and treat fevers, diseases, and restricted blood flow. They are good for the heart and circulatory system and stimulate the adrenals, kidneys, reproductive organs and spleen. Emotionally, it is believed that rubies improve motivation and the setting of goals. 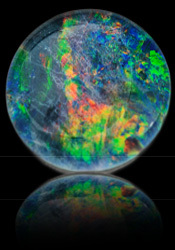 They promote positive dreams and clear visualization and aid in retaining wealth and passion. They bring up negative anger in order for change and removal. They also promote dynamic leadership. They bring a positive and courageous state of mind- one that is sharp, hyper aware and concentrated. They make you stronger during times of controversy or dispute and shield against physical attack. A ruby is also said to be a settler of disputes, having the power of reconciliation. A ruby is dynamic, and brings about passion and enthusiasm, attracting sexual activity. Any jewelry that carries a Ruby signifies so much passion and love between two people, that it makes Ruby an ideal choice for engagement or Valentine’s Day jewelry. 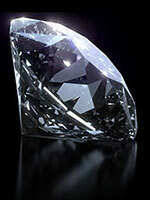 Furthermore, Ruby is the gemstone to be given on the 15th and 40th wedding anniversaries. The uplifting and vital nature of Ruby is an encouragement to live fully, and embrace the joy of life that is missing in many people's lives. Ruby allows the fire of passion and love to advance. It helps to bring down the walls we build around us to keep others out. Ruby is extremely rare and one of the most valuable precious gemstones in nature. 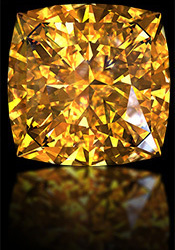 It offers breathtaking color, ranging from brownish red to light red similar to ripe raspberries, excellent hardness second only to a diamond, and irresistible brilliance. 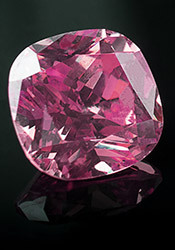 The color of ruby is accompanied by a marked fluorescence, which is stimulated by natural and artificial light making rubies turn brighter red under such light. 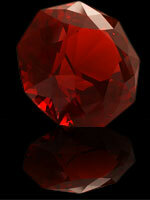 The color is ruby’s most important attribute, while its transparency is secondary. It is almost impossible to find a ruby of finer quality over 3 carats in size, therefore, minor inclusions are deemed acceptable and most ruby jewelry is made with stones under 3 carats. In fact, inclusions within a ruby are like fingerprints, proving its authenticity and revealing the beauty and the individuality of each stone. 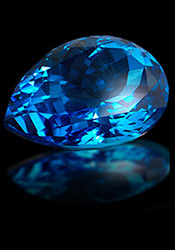 Traditionally, India was considered to be the source of all rubies, as testified by an overwhelming collection of literature for over two thousand years. The highest quality rubies, the most transparent with the best color, are usually from Burma, and can actually be as valuable as diamonds, or even more so. The ruby is actually very closely related to the sapphire, both being part of the corundum family. They are both made of the same mineral, but are of course, different colors. The ruby is a little softer than the sapphire, which may seem strange as they are both made of the same mineral, however nature never makes each gem in a mineral family the same. The most rare, highly valued ruby is the star ruby, which is also called pigeon or dove blood because its color resembles the blood of a pigeon or dove. It is a deep pure red with a hint of bluish purple, and is the most sought after shade. 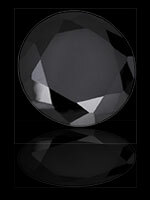 Inside of the ruby is what appears to be a star, a six-ray star with perfect symmetry. The center of the star moves when the stone is moved. 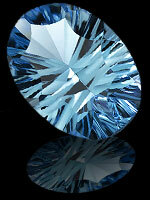 It is usually found in smaller stones, of weights less than three carats. A perfect star ruby is very rare. Sometimes, the stone is flawed, or too cloudy, or the six points of the star are vague or unequal. 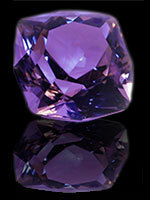 Star rubies are usually given a mixed cut, which is generally oval, but can be round, or other shapes as well. Although the finest rubies come from the Mogok region in Burma, many beautiful rubies also come from Thailand, today’s main source for rubies. Thai rubies tend to be a little darker in shade, with a red so deep they are almost violet. 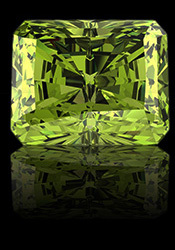 The island of Ceylong, which is the “island of gems“, has also been long famous for it’s rubies, which are of a lighter shade. Marco Polo once said that no other place had rubies as beautiful as those from Ceylon. Rubies also come from India, Tanzania, Madagascar, Russia, Sri Lanka, Cambodia, Kenya, Mexico, Afghanistan, and North Carolina and Pakistan. 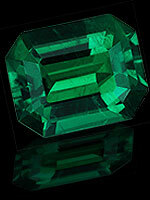 Pakistan provides rubies of excellent color, only with less frequency than from Mogok. Since rubies are so hard and durable, they are easy to care for, however it is not recommended to wear a ruby if you are doing any sort of rough work or are using harsh chemicals. Rubies should be stored in a fabric-lined box, away from other pieces of jewelry, as they may scratch other, softer gemstones. When it is time to clean them, you can use soapy water and a brush, or a commercial jewelry cleanser. It is important to rinse the stone thoroughly and dry it, after cleaning it. If you take care of your ruby, it will stay with you, and retain its beauty for many years to come. Are you a tiger, or a goose? A monkey, or a wolf? And if you were a tree, what kind of tree would you be? Copyright 2002- April, 2019 Jewels For Me, inc.